You must make reservations at least 5 minutes in advance of the time at Main and Vine. MAIN & VINE offers ample FREE PARKING within the Villanova Center. 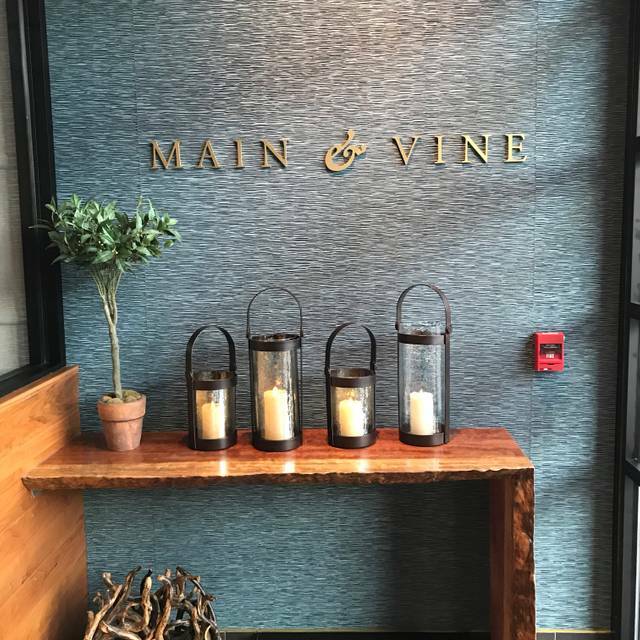 MAIN & VINE brings a piece of Northern California to the heart of Philadelphia’s Main Line. Celebrated for its diversity in taste, Northern California embraces all palates in the community it serves with an added sense of sophistication. 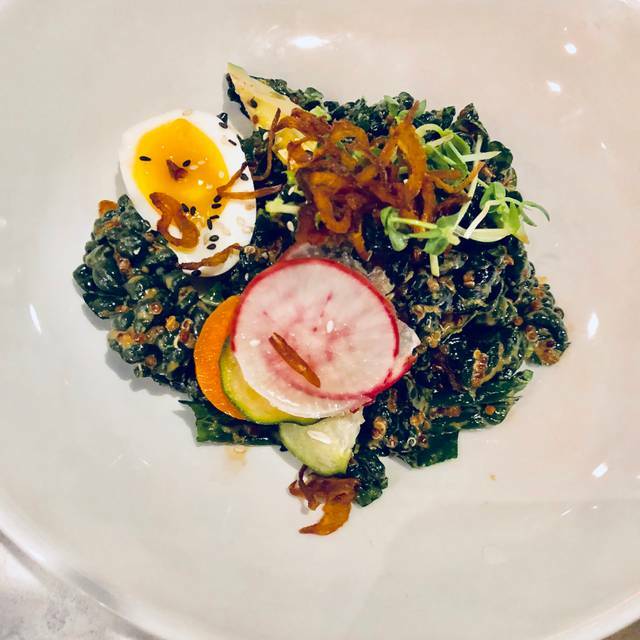 Credited as the birthplace of the modern farm to table movement, the region resources the freshest, most natural ingredients from its own backyard, a practice that has since become a way of life by many. While famous for producing some of the finest wines in the world, Northern California is also home to several of the top craft breweries in production today, and prides itself on creating such cocktails as the iconic gin martini, pisco punch, and cable car just to name a few. It is this craft and culinary union that embodies the MAIN & VINE spirit and approach. Our bistro welcomes guests to experience the best of Northern California for themselves, in a sophisticatedly hip, yet relaxed atmosphere. Had an early dinner date on Saturday night before seeing a play at Villanova. By its appearance, restaurant looked very attractive and quiet, but the music was set at a high level that interfered with quite conversation. The service was good and to its credit, the managers were very attentive to us, but my pork chop nearly slid off the plate onto the floor as it was placed on the table, a quick flick of the wrist by the server prevented a near disaster. The menu was quite appealing and we enjoyed the taste of our meals. Thanks! 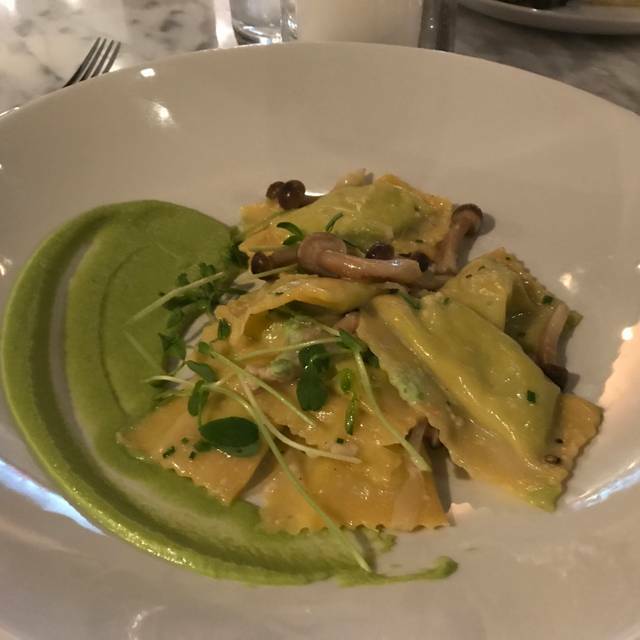 After just returning from vacation in Sonoma/Napa, CA, and we thought it would be a fun time to visit Main & Vino for their Northern California style. What a great decision. We both said that this was better than any meal we had on our trip. 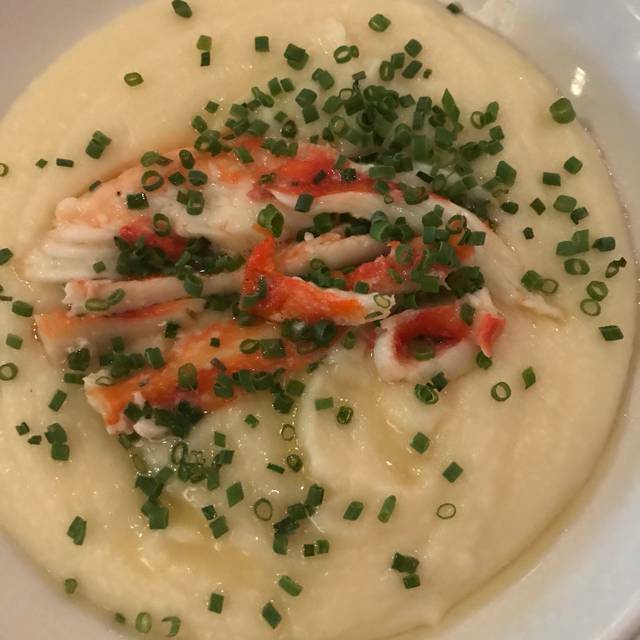 From apps, to drinks to entrees- it was amazing! Our waiter, Christian was very friendly and knowledgeable. The food and service are always exceptional. The manager Ray is very accommodating. 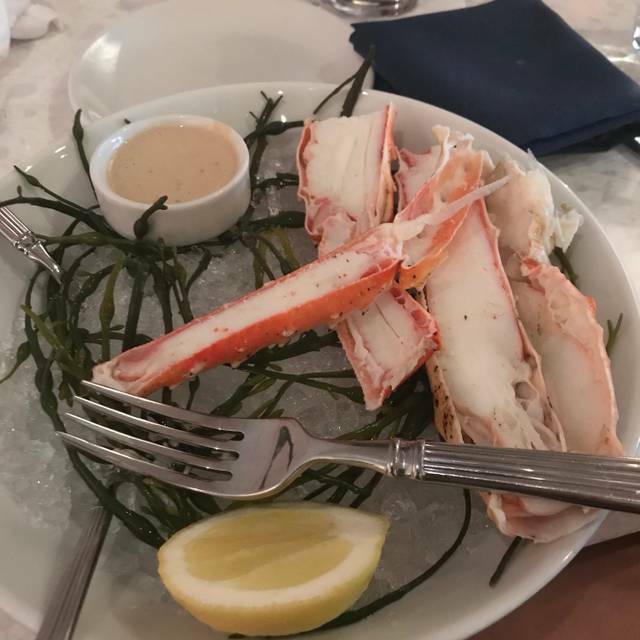 Our waiter, Derek, was knowledgeable and extremely pleasant to work with.We have enjoyed the restaurant with many people and will continue to do so. Food and service were excellent! It was noisy and a bit cramped.. The service was great! Our waiter and hostess was super attentive. We had the scallops and they were sooo tasty! Cute place def good for big groups, date night or just hang out with friends. They have a nice bar area as well. One of my favorites always. Only thing we didn’t love were the lamb meatballs. Wait staff went above and beyond. Wonderful meal. We enjoyed our Anniversary dinner! Everything was perfect!! Main and Vine was awesome! The food and service were both amazing! Very noisy, food was meh and drinks were skimpy. Weird seating...the chairs are super low and they had no cushions to bring you to a normal height. They acted as if they had heard this multiple times. Main & Vine is a good place which I hope makes it in it's current location. 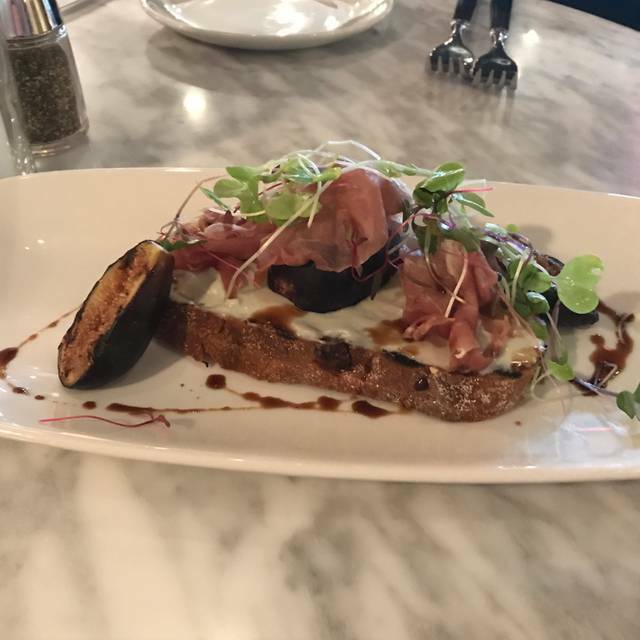 Unfortunately, the server was not very good and messed up on multiple matters on a dairy allergy (which she admitted to having the same allergy), but proceed to serve a dish which contained a good amount of cheese. She served it after she said she asked kitchen, which I know she didn't ask the kitchen staff. Also, charged for a higher price wine which when we ordered a less expense wine. The place is really good, but this server was not so good. Everyone makes mistakes which is expected, but this server made a number of mistakes. 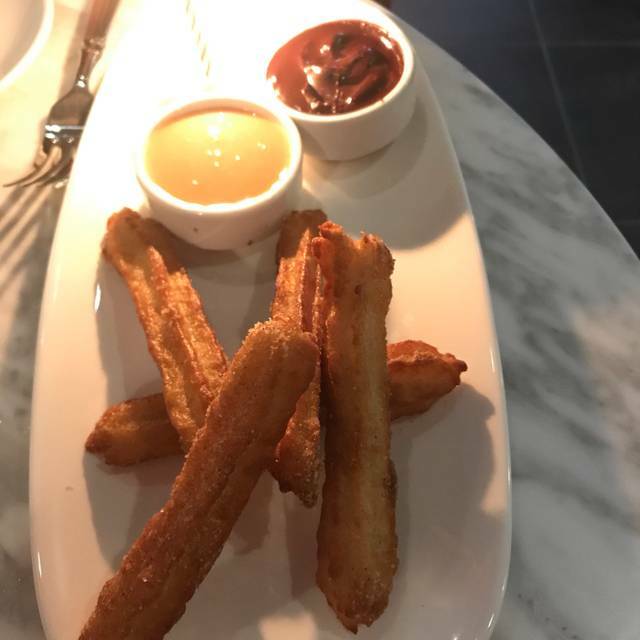 Great attentive staff, the food has been phenomenal both times my wife and I went there, and the drinks are expertly our together. It’s easy to sit down and enjoy the great atmosphere, food and drinks. Main and Vine has a nice interior style, despite its office park location. It has clearly become a favorite destination as the bar was packed by 6:45. The food was well prepared and considered. The cauliflower soup was delicious. My only complaint, which is too strong of a word for this, is that the service was too attentive. There was someone constantly at the table, filling water, asking about the food. It’s nice to be checked on, but I would also like to have a conversation uninterrupted. Tough balance for waiters, I realize. Overall, we had a lovely dinner and will return. Great experience, would highly recommend to anyone looking for a lovely night out. Service and food were phenomenal. My new favorite place - love the decor, ambiance, vibe, tables, food is outstanding and can't wait to go back. Staff was amazingly accommodating when we asked to be seated in a quitter table. 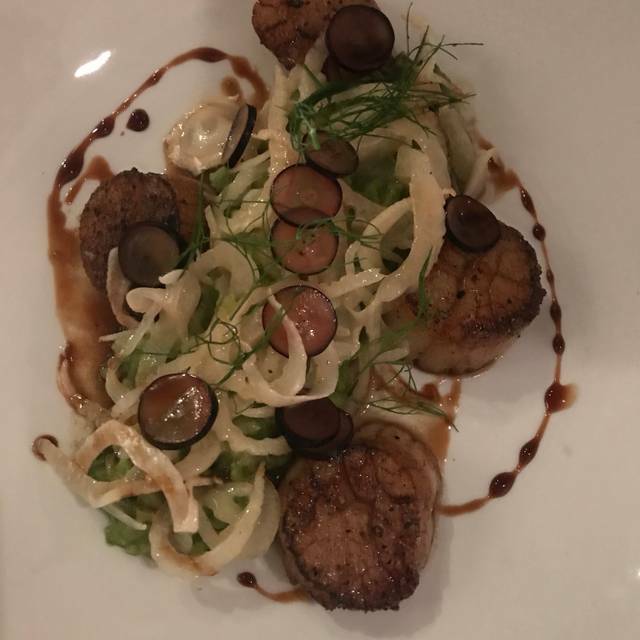 The food at Main and Vine is consistently excellent as is the service.We all enjoyed our meals from the scallops to the pizza. The only downside is that it was very difficult to hear our dinner partners as it was extremely crowded and th acoustics leave sometime to be desired. This will not stop me from returning. Had a delicious lunch and great service as always. Loved the new seasonal additions/alterations to the menu. Definitely try the new beer hummus, the presentation is beautiful and my friend had the bucatini pasta with fresh asparagus and goat cheese. She wasn’t sure she would be able to eat it all but it was the perfect portion size and she cleaned her plate. We will be back! Your Manager is always very cordial. A call from him could be helpful. Jay and Ray create a wonderful dining experience.Our waiter Richie took great care of us .Food was excellent as always.We have dined here with several friends and have always been delighted. I have visited this restaurant once before and had a great experience. On this occasion we celebrated a friend's birthday. All of the food was excellent except two of us got the strip steak; one was medium rare and one was rare. They both came back well done, so we politely asked for two more steaks. They brought them out and they were cooked almost the exact same way. No pink whatsoever to the meat. Our server was apologetic and the manager also came and apologized. They took the steaks off our bill. I was mostly concerned about their chef and stated my comments as such, they need to do some retraining on how to properly cook a steak. We will try again in the future because the rest of our meals were great and we loved the restaurant in general. Great wine selection as well. Kinda loud but food and service were wonderful! Look forward to being there again in the sumner when everyone else is at the shore! Completely cold - which the server fixed and the manager gave us great customer service (which is rare these days). We wouldn’t need to go back, though it is a cool spot. Ask for Lori she was excellent ! The wine was also fantastic . Will go back again soon! Was noisy at first but when Happy Hour done, much quieter. food was nice- although a point was made to bring the food together , the pizza came out too early. The restaurant was beautiful. Unfortunately the hostess seated us in the bar area and near the front door. The server Rich was great , but the seating detracted is from a fine dining experience. We should have spoken up and regret not being moved to another part of the restaurant since it was so noisy we couldn’t hear one another speak. Food was good! The restaurant is beautiful, the service was great. I’ve been there for dinner and really enjoyed it. 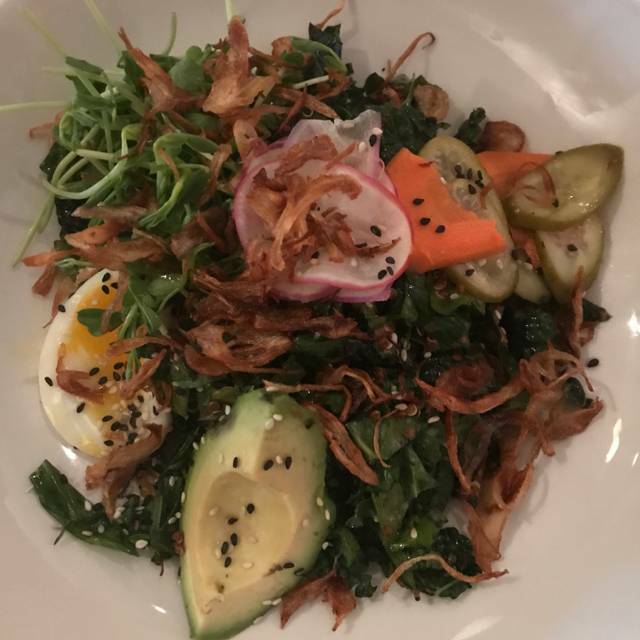 This was my first time for lunch and although the food was good I and my dining companions thought it was very expensive for what it was and we wished there were more and better salad options. The only negative was the mini size, yet quite expensive cocktail. All was good except the $6 charge for bread. This is insulting and begins the evening on a bad note. If people want bread they will ask for it, and it should be free as it is at 99% of restaurants.